Many expected that Tanzanian model, Hamisa Mobetto ought to have kicked off her music career at Wasafi record label. At the very least, have her song produced by the baddest producer Lizer. ¨Madam Hero¨, Hamisa´s debut single was instead produced by producer C9. Wasafi producer has however explained to fans why he did not work with the model, on her song. Fans expected the video vixen to work with the Wasafi team, having been the voice behind the ¨Jibebe¨ hit. Producer Lizer however pointed out that Hamisa Mobetto never informed him that she wanted him to be the brains behind her song. Further, the Wasafi producer stated that the Tanzanian singer, Mobetto, did the song as a surprise and she might not have intended that Diamond, get wind of it. The webpage at https://www.youtube.com/embed/TPjqyMBk75A?feature=oembed might be temporarily down or it may have moved permanently to a new web address. 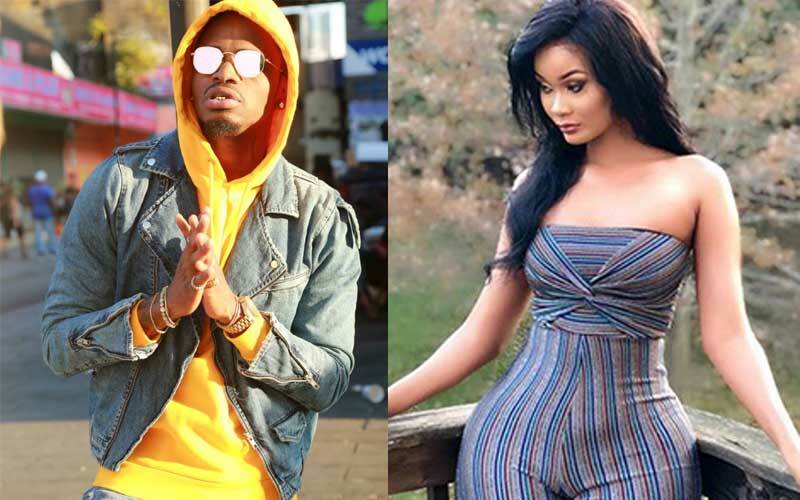 ¨Madam Hero¨ was released after the two broke up and this might have been a reason that compelled her not to inform the Wasafi producer about the single. The webpage at https://www.youtube.com/embed/aUVOQljogqc?feature=oembed might be temporarily down or it may have moved permanently to a new web address. Lizer additionally revealed that even Diamond was not in the know about the single until the song was already out in the open.